Today I am sharing more goodies from the latest Whimsy Stamps Release. 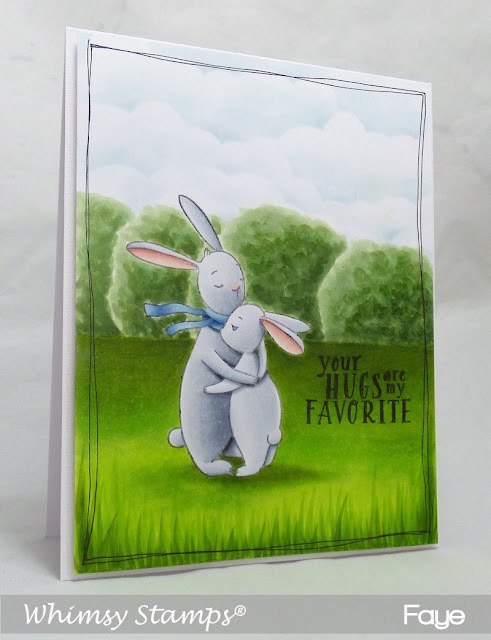 These cute bunnies are from the Hugs Bunny Stamp Set. 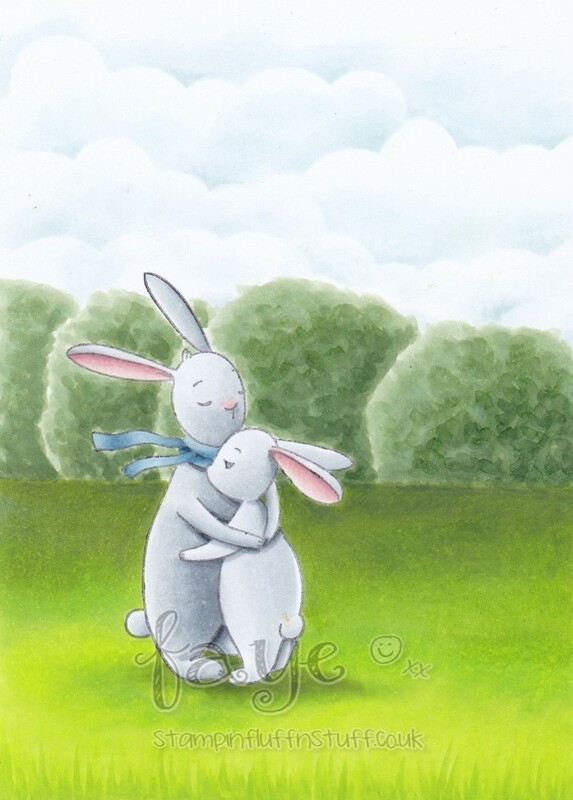 The sentiments you get in this set too are just too cute, along with another adorable hug combo. I decided to colour a scene around these two, it just seemed like the right thing to do! UK Peeps, this release is due to hit Dies to Die For in the next few weeks.